This Single Serving Lemonade is the perfect balance of sweet and tart, and doesn’t leave you with a big pitcher of lemonade! This post originally appeared in June of 2013 and has been updated with new pictures, video, and some text. The first day of summer is both exciting and depressing. Even though we’ve been acting like its summer already with inflatable pool parties and ice cream cones, we still have a lot to look forward to. Fire pits, sleeping with the windows open, and sun tans are definitely not on the agenda any other season of the year in Wisconsin. Still, the first day of summer can be a bit depressing because it marks the longest day of the year. That means the days will only get shorter from now on. Each day will bring a little less sunshine which means colder days, autumn scarves, and Christmas right around the corner. Let me tell you, I am NOT ready for Christmas. Even the thought of snow right now kind of makes me want to jump off a bridge. I just want to stay with you in this moment forever (name that theme song). I can’t do summer without lemonade. While I have a rock solid go-to recipe, I don’t always have the time or energy to juice twelve lemons (or twenty four if I’m super thirsty and doubling). And frankly, I’m selfish. I’m making lemonade for me and you can’t have any. 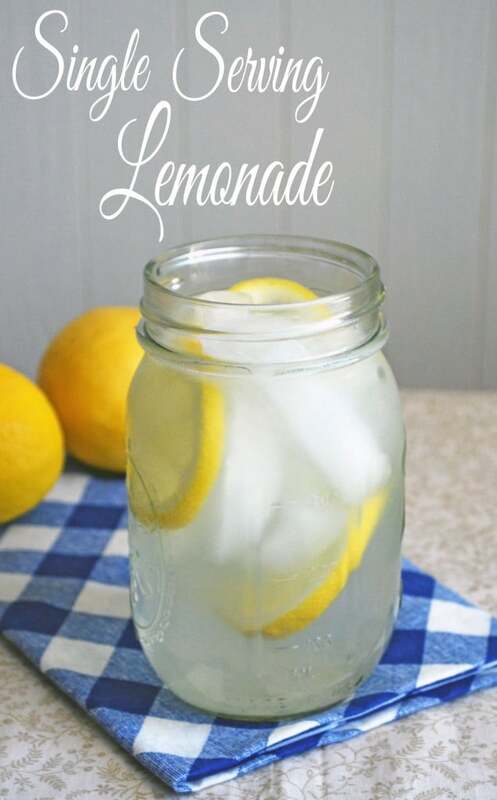 This single serving lemonade recipe makes one sweet little glass of lemonade in about five minutes. Minimal juicing, maximum enjoyment. I used my electric kettle to heat my water up fast but you could also heat yours in the microwave or on the stovetop (or straight out the tap if you keep your water heater cranked). 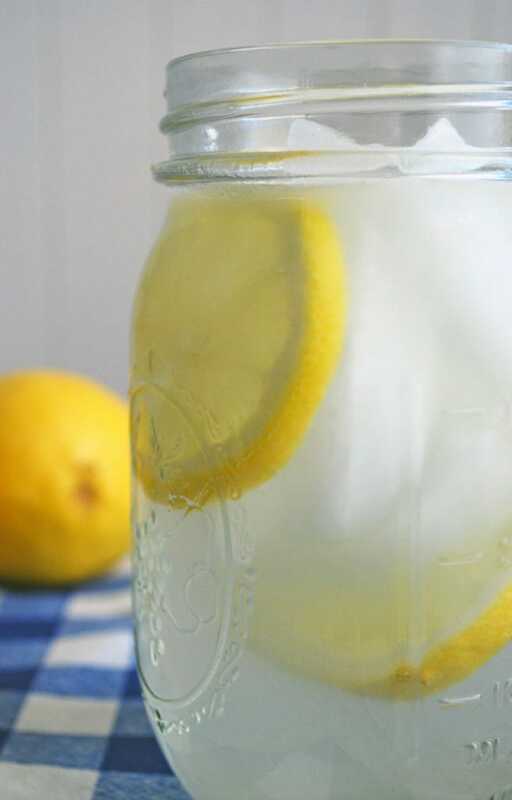 Make a glass of single serving lemonade and savor this day. You’re never getting this moment back. Single Serving Lemonade is a quick and easy way to enjoy lemonade by the glass with ingredients you probably already have on hand! I can’t resist using club soda in lemonade instead of flat water. Thanks for the post, and the reminder that I really want to ditch my plastic and switch to mason jars. Yes! I was totally thinking vodka but I don’t drink alcohol during the day because of the nursing baby. The club soda is a great idea too, kind of a homemade Mike’s Hard Lemonade! I’ve made this several times. Always perfect! Thanks for the recipe. I’m glad you’ve enjoyed it! Thanks for sharing! My son came home from college loving lemonade, I made this simple recipe but doubled the amount of lemon juice. It was a hit and convenient to make by the glass. A little homemade goodness while he’s on respite from school. I love lemonade and this is the first time I have had perfect homemade lemonade!!! Thanks for the recipe!!! 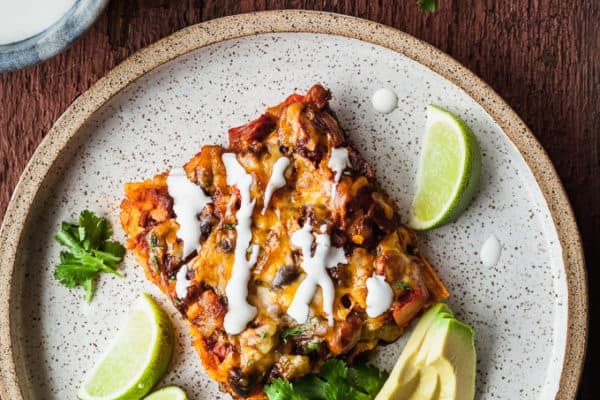 I think I will try this recipe on the first day of summer. If I like it I might make a tradition. I will first have a regular lemonade then maybe a couple with gin , while listening to the beach boys. Have a great and safe summer!!! I just used this to make a rhubarb lemonade and it was perfect! Instead of sugar I used 3 tablespoons of homemade rhubarb simple syrup and skipped the hot water since I didn’t have to dissolve sugar. Thanks for the recipe! 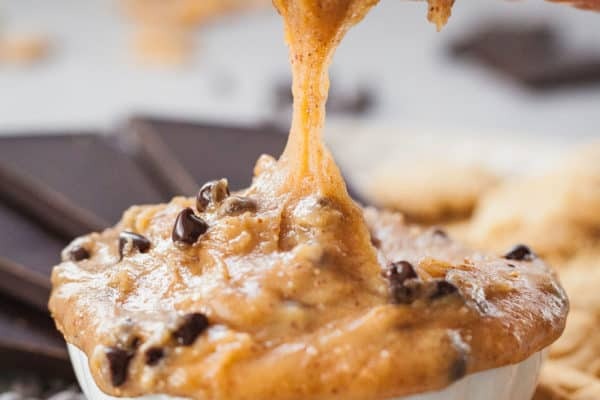 This is a good recipe but I use 3 1/2 tablespoons of sugar!! 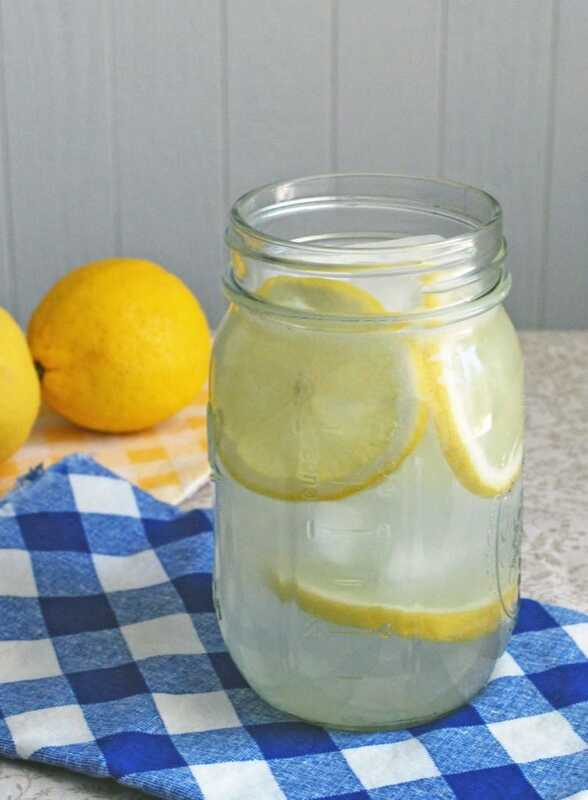 Such a perfect and simple way to make good lemonade without cooking. My daughter and I just made some in less than five minutes. Loving it right now! I’m so glad you and your husband enjoyed it Monique! Very tasty! refreshing even on a rainy day. So easy to make and fun, I doubled the recipe and it worked great! 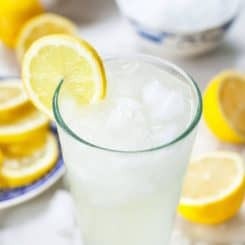 I would recommend this to anyone looking for an easy tasty lemonade recipe! Well done. Thanks Gemma, I’m so glad you enjoyed it! Don’t wanna miss a thing, Aerosmith. Got off the couch and made this, doubling recipe for husband and me. Helps survive the flu. Thanks. BTW, I served this hot. Just added all hot water. I thought that the lemonade was a little sour. But I love to take it to school on those hot summer days! I love single serving recipes for stuff! I personally ended up adding a little more lemon juice and sweetener BUT that is because I used bottled lemon juice (I only had enough real lemon to throw a few slices into the drink, not enough for juicing). I also used monk fruit sugar instead of regular sugar, but I think the bottled lemon juice was the main reason for needing adjustment in my case. I’m so glad you enjoyed it Stevie, thanks for sharing your adaptation! I made with my 6 year old daughter! We we’re both able to follow easily and it turned out really refreshing! 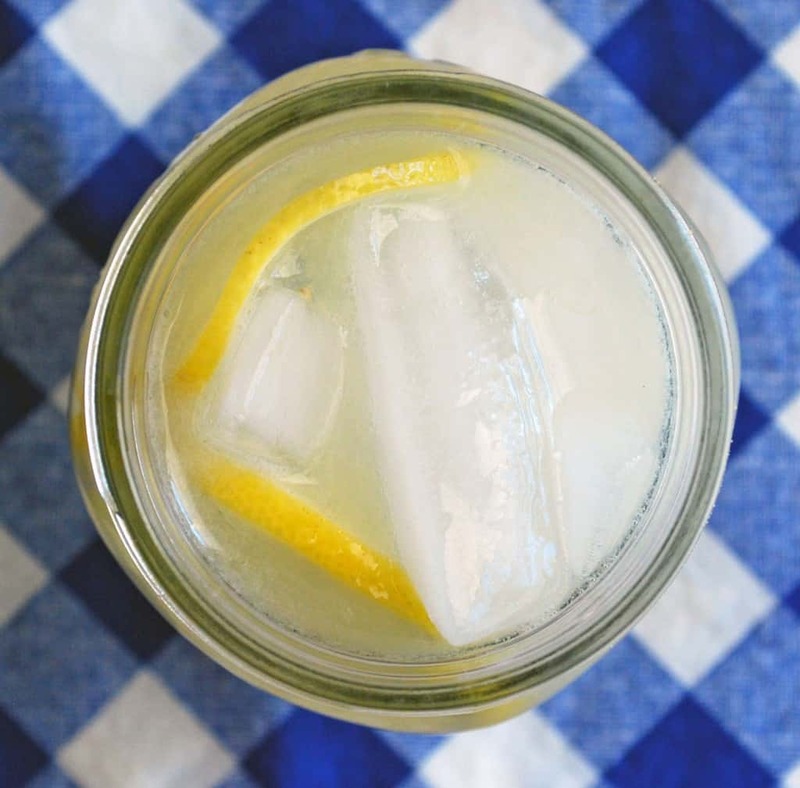 We love lemonade and now we have a recipe from scratch we love. That’s wonderful, I’m so glad you enjoyed it! 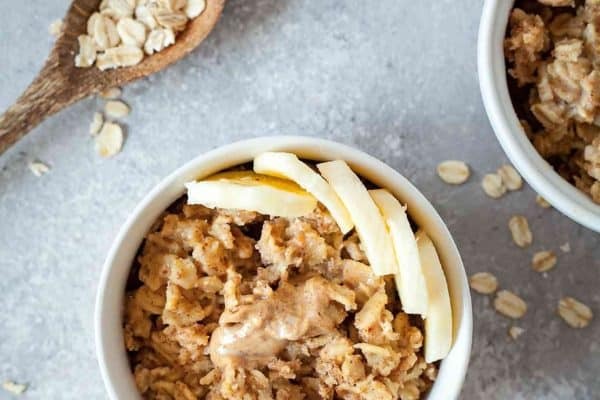 So good and so simple to make. The kids and I loved it.